World's biggest soccer stadium | Where is the World's biggest soccer stadium? maybe your mind will go directly to Europe, the continent which is considered as the Homeland of Football. And If you actually replied "There is in Europe", then you are wrong. So the, where is the world's biggest soccer stadium in the world? The right answer is In North Korea. 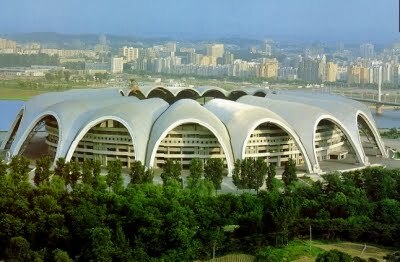 The biggest soccer stadium in the world is Rungrado may day stadium, it located in north korea. The stadium is able to accommodate over 150,000 spectators, In fact, Camp Nou, Barcelona FC Stadium is only able to accommodate no more than 89,000 spectators.